Many people erroneously believe that their intelligence is etched in stone by genetics. This belief is false. Even though genetics do play a role, environmental facts can make a substantial impact. Research supports the fact that one’s intelligence is not fixed, and that it is possible for anyone to improve themselves intellectually. You can improve your intelligence through nootropic supplementation, mental exercise, and physical exercise. Nootropics is the scientific term for “smart drugs”. Many nootropics were originally created to treat Alzheimer’s disease. Further research revealed that they improve cognitive function in healthy people as well as those who suffer from various forms of dementia. A commonly used nootropic is piracetam. 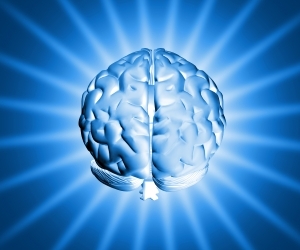 Piracetam is able to increase memory and learning ability in completely normal people. Our brain cells communicate by firing neurotransmitters across synaptic connections. Piracetam improves the functionality of Acetylcholine (ACh). ACh is a neurotransmitter closely tied to our ability to learn and create new memories. By boosting the functionality of this neurotransmitter, piracetam is able to improve our memory and learning capabilities. Mental exercise is also able to boost intelligence, but it has to be the correct type of mental exercise. Only mental exercise that is both novel and challenging will increase your intelligence. Furthermore, depending on the type of mental exercise, different areas of cognitive function are improved. To improve your intelligence you need to train your working memory. The best mental exercise for this purpose is the Dual-N-Back test. Training with the Dual-N-Back test for at least 25 minutes a day, for 19 days improved subjects IQ scores by close to 40%. This one may come as a surprise, but physical exercise also boosts cognitive function. Research shows that 30-60 minutes of aerobic exercise, at least 3 days a week improves cognitive function. When you engage in aerobic exercise two things happen in your brain. You enhance neurogenesis (the rate at which your hippocampus produces new neurons) and you improve your brain’s synaptic plasticity (how easily your brain can alter its connections). Both of these things lead to improved cognitive function. In the long term, aerobic exercise improves your cardiovascular health. A healthier heart can supply your brain with more blood, which also boosts cognitive function.